Our artist in residence, Maria Tilt, will be having an art exhibition from the 6th of December to the 8th of December. 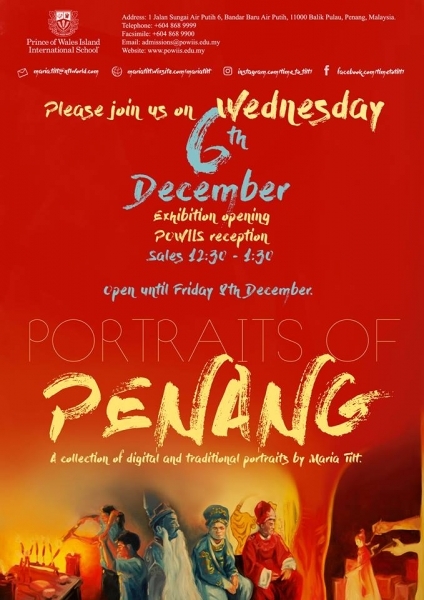 Entitled ‘Portraits of Penang’, the collection of digital and traditional portraits offer a glimpse into Penang’s old-world charm. The pieces exhibited are available for purchase, and will be on sale from 12.30 pm to 1.30 pm for the duration of the exhibition.